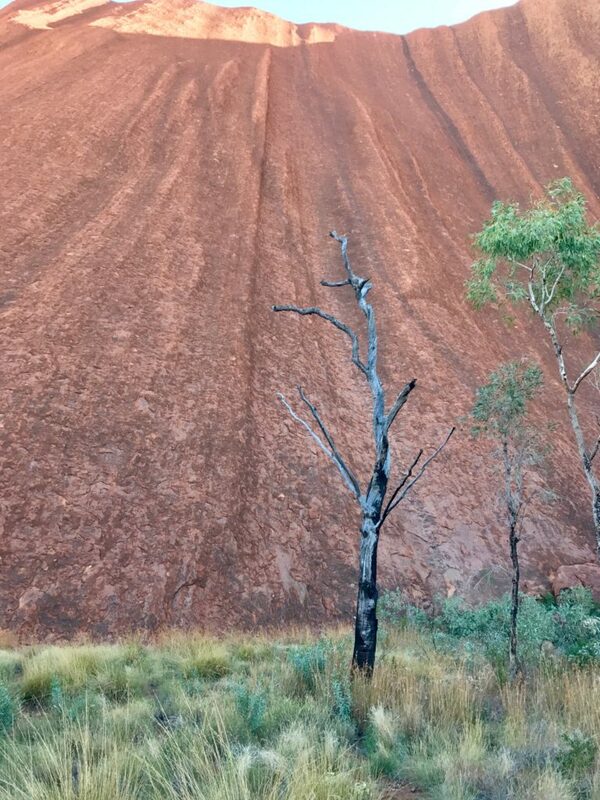 At the base of Uluru in the heart of Australia stands a tree which reminds of a not-too-distant fire while the surrounding areas are rich with grasses and other plants. The traditional caretakers of Uluru, the Anangu people, have known for thousands of years that, to properly care for the land, you have to do controlled burns in a patchwork pattern. You don’t burn everything at once or in very large areas because that leaves no shelter or food for the animals seeking it. You also can’t stop burning altogether, because that leaves the land vulnerable to wildfire, which can be devastating. I wonder if this would be a good metaphor for taking stock of my life. Are there some areas that are ready for renewal & regrowth? Can you burn just those parts away?